Geotomographie, founded in 1999 in Germany, provides complete solutions for borehole and near-surface seismic surveys to geophysical, engineering and mining companies. We design seismic borehole sources and receivers and develop specifically tailored software. For our customers, we conduct seismic field surveys and the subsequent data processing, interpretation and reporting. Development and supply of advanced seismic borehole technology, such as borehole sources for P- and S-waves, borehole geophones, hydrophone strings and borehole deviation tools. 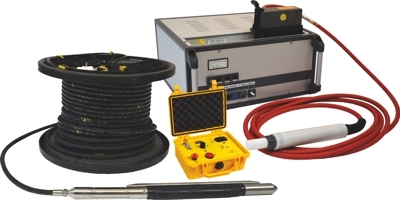 Highly quality seismic equipment can be rented for various seismic applications by our customers to perform seismic near-surface and borehole field surveys. Rental is ideal for short-term projects or equipment testing before you purchase. 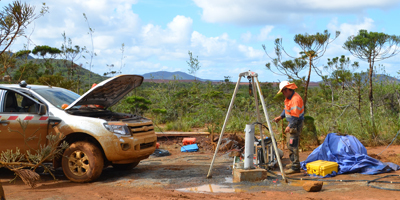 We carry out worldwide seismic field surveys for borehole and surface applications and conduct the data processing, interpretation and reporting. Training in seismic borehole technology is available for our customers, from data acquisition to visualization and final interpretation. Seismic tomography provides high-resolution 2D or 3D images of seismic velocities between boreholes. The method is used to delineate geological structures, to map cavities and weak zones and to specify mechanical soil and rock properties. Geophysicists and engineers apply this method to investigate the foundation and underlying rock of buildings and bridges in order to characterize the subsurface before infrastructure is built and to image time-dependent processes. The crosshole test provides a depth profile of shear wave velocities (VS) and compressional wave velocities (VP) between boreholes at a high vertical resolution. The method is used to determine soil dynamic parameters, such as shear modulus, Poisson ratio and Young’s modulus. Engineers use these key parameters to predict the response of soils to dynamic loading. The downhole test provides shear wave velocities (VS) and compressional wave velocities (VP) for geological layers along a single borehole. Soil dynamic parameters, such as shear modulus, Poisson ratio and Young’s modulus can be determined to evaluate the soil’s response to dynamic loading. 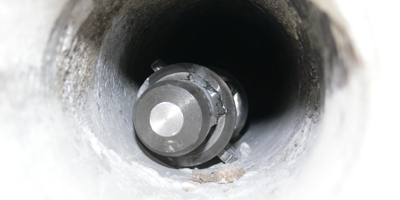 The crosshole test has a higher vertical resolution than the downhole test. The close cooperation with our reliable global distributor network enables us to support you directly and transfer the expertise to you.